Our rally flags are great to drive up the excitement of the crowd and to fire up the game day frenzy. These are great for pep rallies, sports events, patriotic rallies and more. 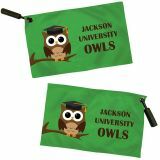 Choose from medium weight and heavy weight rally flags that are made of 3-Ply Knit Polyester and finished with grommets and plastic handles that make it easy to display and carry around. Any sports team will love to keep these rally flags as game day souvenirs for a long time. Shop right away and get the best prices, quick shipping and much more! 100% customer satisfaction guaranteed! 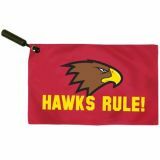 Rally flags from Tuff Flags offered at the best prices will make a great way to make any game day or rally exciting. Fly your team colors, display your message and mascot and make the audience cheer and roar for your team and event. These Rally flags use a plastic handle locked into a grommet to spin easily and safely. Everyone will love to make an eye catching display of Mexican wave formation with these brightly colored rally flags that are customized to complement your team spirit. 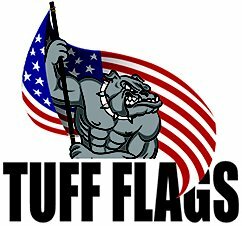 Browse our collection of custom rally flags and choose a model that meets your needs. Need help? 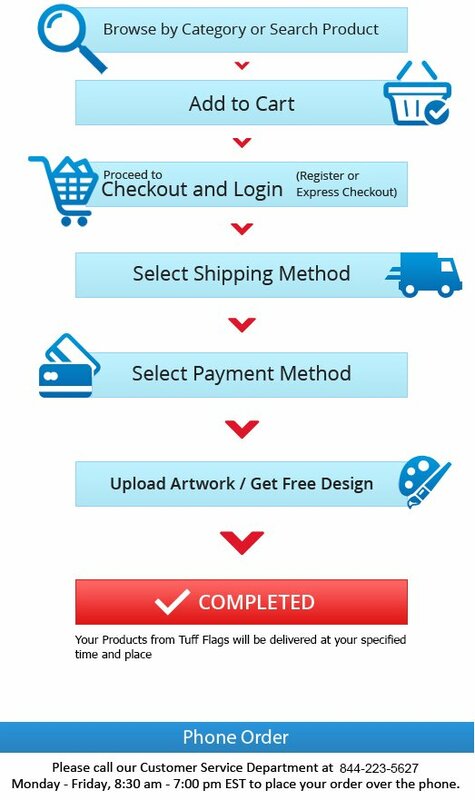 Feel free to call us at our toll free number 888-287-3524 or email at customercare@tuffflags and we shall assist you.